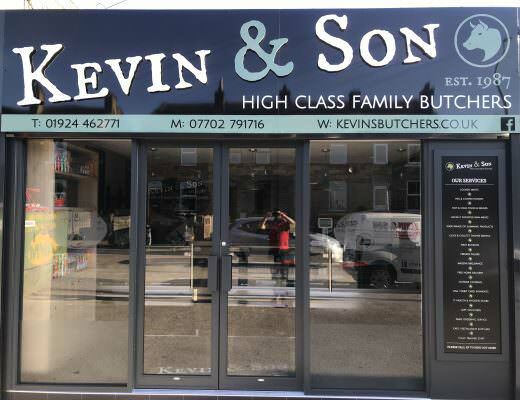 Welcome to Kevin & Son Butchers, Firstly Thank You for taking your time out to view our Website. 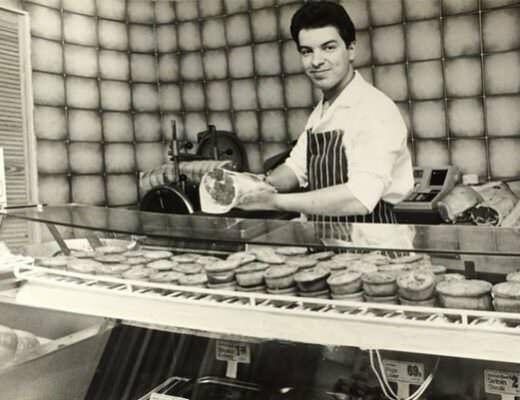 Kevin & Son Butchers was Established back in May 1987 by Kevin himself, having learned the trade when leaving school in 1975, with just over 10 years’ experience Kevin took the plunge in becoming self-employed and opening his own traditional butchers. Kevin’s Son Tom came into the business in 2006 and is now the business owner following Kevin’s Retirement in 2015. Here at Kevin’s we have the motto ‘Buy the Best We Do’, we strongly believe in you get what you pay for. We source all of our meats from local farms wherever possible, and believe this reflects in its quality when it’s on the plate. Since taking over the business in April 2015 Tom has introduced several new ideas into the business to try bring it back into the modern day. A card machine has been introduced with Contactless payments, Home delivery service is available, A new loyalty scheme and most of all Social Media. A Facebook Business Page was created and currently has over 9300 Facebook Likes. Also in February 2018 Kevins underwent a huge refurb, the shop has completely changed its look, with Brand new layout and colour scheme. Currently our best selling products are from our Slimming Range, with 28 products all made with Less than 5% fat meats, we now have a huge demand for our produce.